You’ve probably heard that berries are full of antioxidants, which are great for…what are they great for again? The power of berries has been touted for years, but the science of exactly how and what berries can do for our bodies and minds is just coming out. In the last 5-10 years, scientists have found astonishing results from daily consumption of berries that will make you want to eat those juicy fruits every day. Here, we’ll clear up exactly what adding berries to your diet can do and tell you which berries you should buy first. Then, hop over to Reams to get your dose of berry goodness! Like many of the berries on this list, raspberries are high in many vitamins a nutrients. Most notably, manganese, niacin, vitamin C, vitamin K, and fiber make up this delicious red fruit. The benefits of raspberries extend to aiding with digestion, heart health, and assisting those with depression. 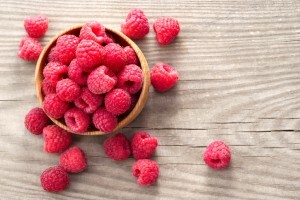 Some studies are also showing raspberries may support healthy inflammation and aid in fertility. Studies have shown that riper raspberries have higher anthocyanins, which is the property that gives berries their bright, deep colors. This pigment has also been linked to cardio-protective, neuro-protective, and anti-tumor properties. So the richer and riper the berry, the better. 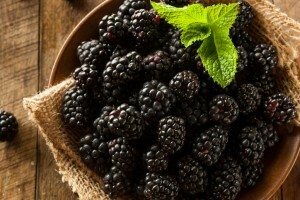 Blackberries are full of vitamins; vitamins C, E, K, and B9 can all be found in these dark, juicy snacks. Blackberries are also high in antioxidants, which has been linked to their ability to fight chronic diseases and some cancers. A study out of Ohio State University found that blackberries can help reduce tumor formation in the oral cavity, as well as the proliferation of colon cancer cells. These berries have also been linked to reducing inflammation and the effects of Alzheimer’s disease. Those properties, combined with their Omega-3 fatty acids, have suggested that blackberries can also help support memory function. Knows as the king of antioxidants, blueberries have numerous potential benefits if consumed regularly. 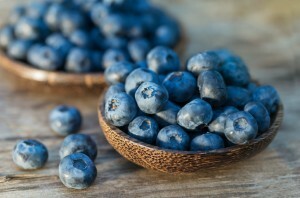 Because they are so rich in antioxidants, blueberries have been linked to helping with blood pressure and heart health. One study found that eating blueberries and strawberries often may even reduce women’s risk of heart attack by 32 percent! Another study suggested blueberries can help fend off type 2 diabetes. The antioxidants in blueberries also help fight brain cell oxidation, which means they may be able to help improve memory and learning. Furthermore, blueberries’ antioxidant properties have shown promising in addressing cancer stem cells, particularly relating to breast cancer. Did you know there are over 600 varieties of strawberries out there, and they have so much vitamin C, one strawberry can account for 160 percent of your daily recommended value! Strawberries are also high in many other vitamins and minerals, such as potassium, fiber, manganese, iodine, Omega-3s, and more. 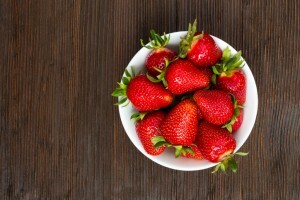 And strawberries a high in multiple B vitamins, so they give your body energy. The potential benefits of strawberries are numerous, including: reducing blood pressure, reducing bad cholesterol (LDLs), supporting eyes, aiding the immune system, and aiding in digestion. As if that wasn’t enough, some studies are showing decreased oxidation and more neurohealth from eating strawberries, and the fisetin in them has been linked to helping with the symptoms of Alzheimer’s. Studies have also shown that many of the benefits of strawberries leave the fruit after just a few days of ripeness, two days in fact, so make sure to eat them quickly! Although goji berries are lesser known than the other berries on this list, they carry no fewer benefits. Deep red in color, goji berries contain 18 amino acids, 21 trace minerals, vitamins B1, B2, B6, and E, germanium, more beta carotene than the common carrot, and more. Like many of the other berries on this list as well, goji berries have been linked to better responses to cancer treatments when added to the patient’s diet. And they can help protect the liver from contaminates. 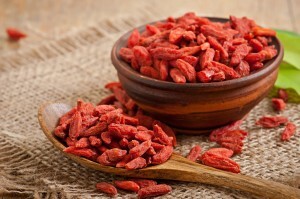 Another interesting trait about goji berries is their effects on the brain. Like blueberries, goji berries have shown the ability to significantly increase feelings of well-being and improve cognitive performance. One study started seeing positive benefits after only two weeks of consuming goji berries. 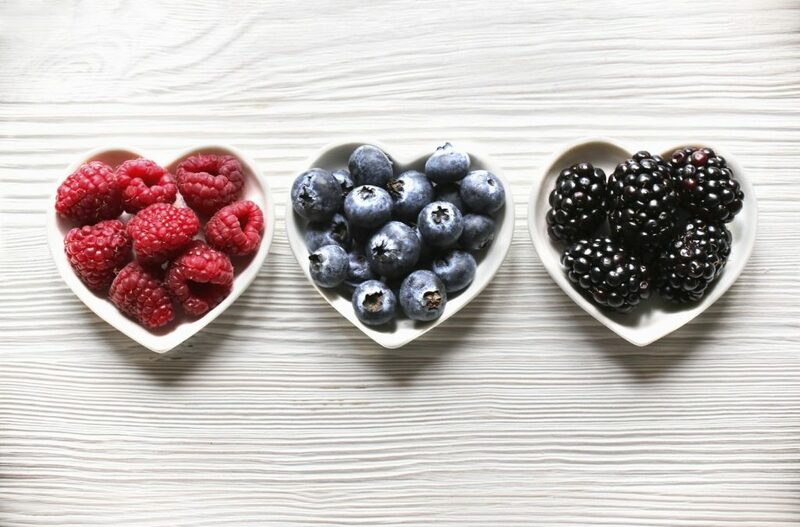 Although the benefits of a berry-heavy diet are significant, the amount of berries required to see many significant effects can be difficult to reach. One study found that a human would have to eat about a pound of berries a day to ingest the equivalent doses used in some rodent studies! The good news is that berries are delicious and can be consumed in many forms. Practice adding berries to everything: add fresh berries to your yogurt in the morning, dried berries to your mid-day snack, and frozen berries to a smoothie or attop vanilla bean ice cream for dessert. However you choose to get berries into your diet, do it! Be benefits are sure to blow you away.